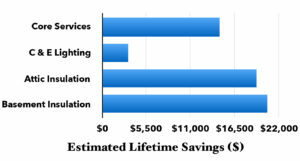 energy savings, completed under the EnergizeCT Multi Family Initiative – Income Eligible program. 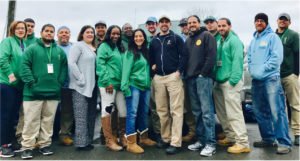 The project was wholly managed by Energy Efficiencies Solutions of Windsor, Connecticut, a full-service female minority-owned energy services contractor, and winner of the 2013 U.S. Department of Energy Home Performance with Energy Star Contractor of the Year award. 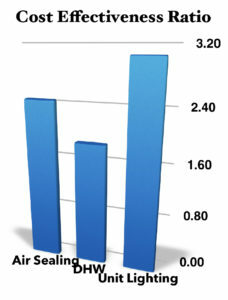 EES adhered to strict BPI Multi-Family Standards to develop the project. ensure that the customer gets what they need; and understands the ROI to help them make smarter purchases. Our Multi Family project managers hold the property owners hand every step of the way, from walk through to project completion and inspection. 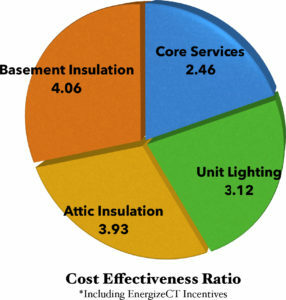 Multi-Family HES-IE core service upgrades are supported by EE incentives, which make the newest EE technology affordable and produce a substantial improvement in customer comfort, air quality, and utility bills.